Amazing frost hardy evergreen "Bottle Brush" Tree from Australia - Perfect for the patio. Splendid crimson-red, brush-like flowerspikes are borne on the plants in late May, June and July, reliably every year. Perfect for patio plants on a sunny terrace or in the garden itself. The leaves release a delicious lemon scent when crushed. 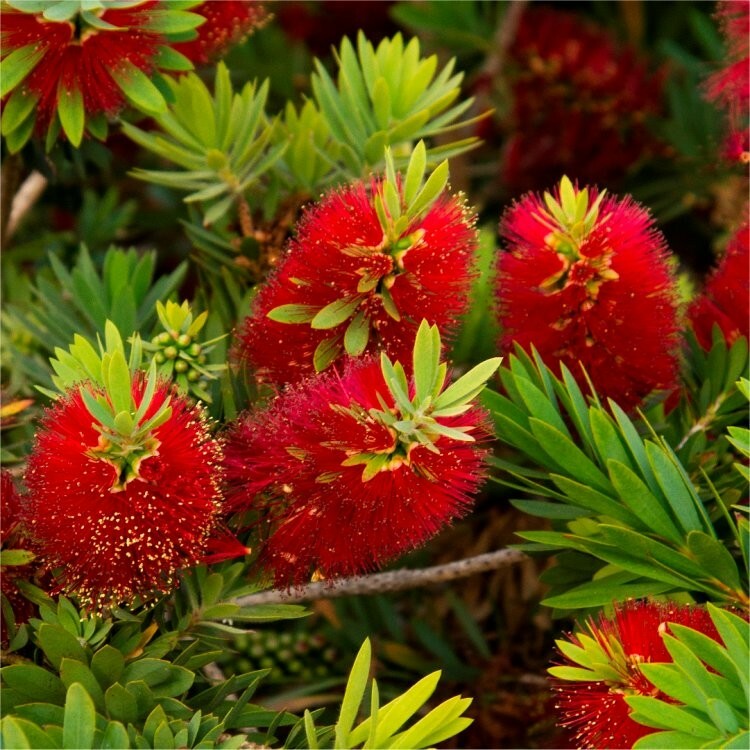 This crimson bottlebrush plant makes an eye-catching specimen for a sunny shrub border or patio tub with is silky, pinkish-red young shoots which turn dark green with age. 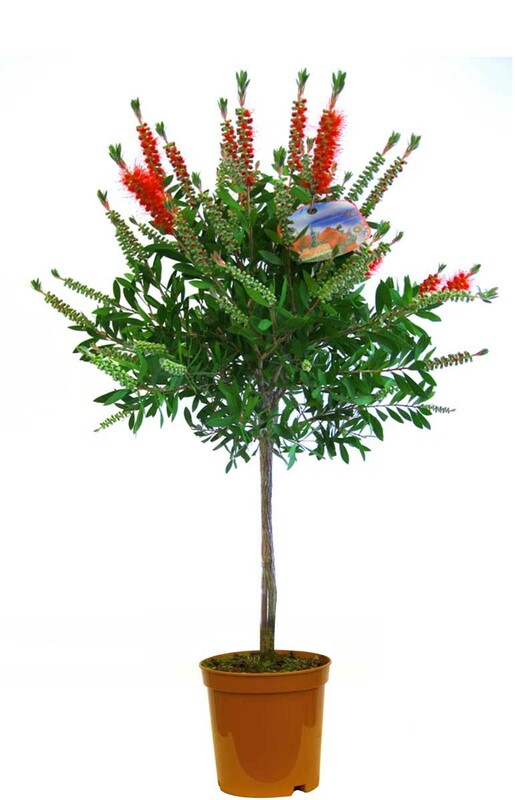 Strong bushy flowering sized plants supplied in three litre containers as a small standard tree, with a clear stem topped off with a head of foliage, total height around 60-80cms.